Today's post will be short and sweet. 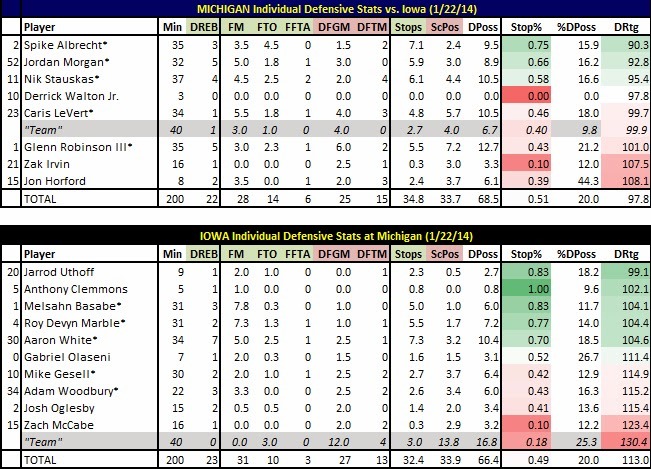 Michigan didn't play its best game - outside of Nik Stauskas having some phenomenal one-on-one efforts the offense wasn't great in the half court - but timely turnovers and fast-break points were really the difference against a top-10 Iowa team. There were a few heroes for Michigan but none greater than Spike Albrecht. Starting (and playing starter's minutes) for the ill Derrick Walton Jr. Albrecht was Michigan's best defender by far and some could argue his timely forced turnovers changed the game and gave the Wolverines the victory potion. Below is the defensive score sheet for the Michigan's 75-67 victory against Iowa - giving the Wolverines back-to-back wins over Top-10 teams for the first time since the Fab Five in 1992. I mentioned Spike Albrecht's heroics above so I won't get into those much more here. But the Robin to Albrecht's Batman was Jordan Morgan. I've always been a fan of the senior who really never had realistic NBA dreams but continued to develop over his time at the school and, by his senior year, was much better than anyone ever imagined. Morgan fits that mold. He's not great - it does take the right play calling on offense to get him easy bunnies and he's still a better help-side defender than on-ball defender - but Morgan is exactly what Michigan (and many other teams around the country) needs to be a serious Final Four threat. I'm sure Glenn Robinson III would love to "Blame it on the Alcohol" (sorry, is that song not "hip" anymore?) but he has a realistic excuse if he blames his performance on Melsahn Basabe. There are some games where you just have to tip your cap to your opponent because he's that good. In defeat Basabe was that good. Mark my words: Zak Irvin will continue to be a defensive liability for the Wolverines going forward. He's obviously in there for his offensive explosiveness but he's late closing out on shooters and, quite frankly, gets beat off the dribble far too often. As March rolls around I would be shocked if his minutes didn't fall to right around 10 because of his D.
I'm not quite sure I've seen a "Team" DRtg at 130.4 in my time charting games. While Iowa's overall DRtg was 113.0 it can't be ignored that as a group Iowa's turnovers allowed easy transition buckets for Michigan. By my count 12 of Michigan's 27 field goals were either on fast breaks, transition opportunities or offensive-rebound putbacks. Michigan did grab 10 offensive boards on the game and I believe there were four or five putbacks. This will be a problem for Iowa as the NCAA Tournament rolls around. The Hawkeyes can score but can they get defensive stops when needed and cut down on the "turnovers for touchdowns?" That will be the key question that needs to be answered. 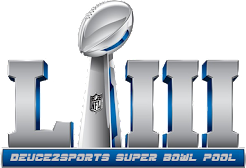 If not, this very well could be one of those Iowa teams that gets knocked out early as a No. 3 or No. 4 seed (Northwestern State, anyone?). *The DRtg is most important part of a defensive score sheet as it is the analog of an offensive rating. If a player was on the floor for 100 of his team's defensive possessions, the DRtg calculates the number of points the opposition would score. Buy bed sheets online from Cottonaffairs Save up to 90% off luxury bed linen, quilt covers, sheets, pillows and towels. Cottonaffairs offer the best bed linen online.FREE shipping* Fast delivery.